This is the day for beginning you thrilling and unforgettable tour. You can meet tour operators at Delhi Air port or Railway station what ever it may be.They will shift you to hetel for freshen up and also treated with welcome drink. Overnight stay at hotel. After taking break fast and take a guided tour of Old Delhi. The Places to visit here includes great Jama Masjid and the principal mosque of Old Delhi which is the largest & best known mosque in India builted by the Mughal Emperor Shah Jahan. After that you can explore the beauty of Chandi Chowk. At the same day you can visit Red Fort. Then move on to New Delhi and places to visit includes Raj Ghat, memorial to the Father of the Nation, Mahatma Gandhi,India Gate, President's House, Humayun's Tomb, great Qutub Minar which is the tallest (72m) brick minaret in the world, remaindedas an important example of Indo- Islamic Architecture. You can enjoy Sound & Light Show at Red Fort (Optional). Take dinner from Chor Bizarre. Overnight stay at hotel. After taking breakfast , check out from the hotel and get ready to continue your trip to Mandawa. 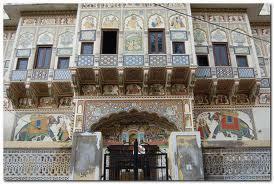 You can visit to Jhunjhunu also in between. On arrival at Mandawa, you have to check into hotel.Mandawa is a beautiful small town in Rajastan. 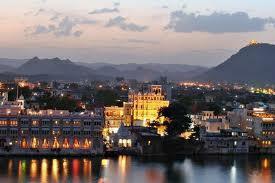 Mandawa is situated 190 km away from Jaipur, the capital of Rajastan. The fort town of Mandawa is well connected with the other places in region through a good network of roads. Like most of the other places in north India. The best season to visit this place is winter i.e. October to March. Over night stay arranged here at Mandawa. After the leisurely breakfast from Mandawa you can drive to Bikaner. On arrival at Bikaner you have to checkin Hotel and also enjoy the wecome drink. The royal walled medieval city lies on the northern point of the triangle of desert cities. 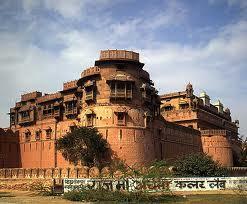 It was established by Prince Bika Rathore and came to be called Bikaner after him. Attractions in Bikaner are the magnificent forts, palaces created with delicacy in reddish-pink sandstone, undulating lanes, colorful bazaars and bright and cheerful folks. Overnight stay at hotel. After having breakfast, visit Bikaner Fort, Lalgarh Palace and Deshnoke Temple. Then make a drive to Jaisalmer, en-route visit to Pokhran Fort. On arrival in Jaisalmer check into Hotel. Rest of the day enjoy yourself and overnight at Hotel. 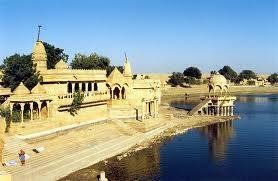 After the morning breakfast take a full day tour to Jaisalmer city. 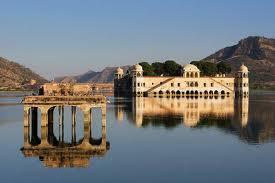 Palces to visit includes the Fort, Manak Chowk and Havelies, Gadisar lake, nad colorfull market. Afternoon visit to Sam Sand Dunes, evening camel safari and enjoy sun set at sand dune. Returned back to hotel and overnight at there. After leisurely morning breakfast, drive to Jodhpur, en-route visit Mandore. On arrival at Jodhpur, check into Hotel. Rest of the day enjoy yourself and overnight at Hotel. After morning breakfast enjoy city tour of Jodhpur. 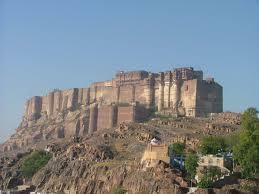 Places to visit are Mehrangarh Fort, Jaswant Thada, Umaid Bhawan palace. After having the lunch at your own cost and start journey to Udaipur. On arrival check into the hotel and overnight stay at hotel. After having the break fast, enjoy boat ride at Lake Pichola and then visit City Palace, Jagdish Temple, Museum, Saheliyon ki Bari (Gardens of the maids of Honor). After that returned back to hotel and overnight at Hotel. After morning breakfast, checkout from hotel and proceed drive to Pushkar, en-route visit to Elkingi (Temple complex), Nagda (Group of Jain Temples). 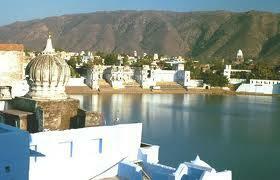 On arrival in Pushkar, check into Hotel. Rest of the day enjoy within the hotel and night stay at Hotel. After the morning breakfast , you can explore Temples, Ghats and afternoon visit Ajmer (Tomb of a Sufi saint). After that you can enjoy the drive to Jaipur. On arrival at Jaipur, check into Hotel and night stay at Hotel. After having the breakfast take tour to Amer Fort ascend Fort on Elephants back. Afternoon you can enjoy the city tour. 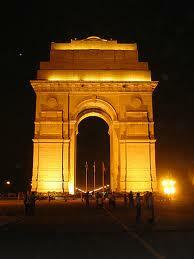 Places to visit are City palace, Jantar Mantar (observatory), Palace of Winds, Birla temple. Thereafter returned back to hotel and night stay at Hotel. After the morning breakfast enjoy drive to Agra en-route visit Fatehpur Sikri. On arrival at Agra check into Hotel. 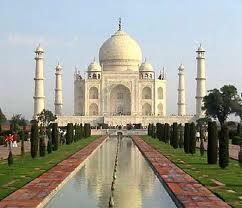 Agra is famous as being home to one of the Seven Wonders of the world - The Taj Mahal. In the evening visit Taj Mahal at Sunset. Overnight stay at hotel. In Early morning take city tour after the breakfast. Places to visit includes Red Fort, Itmad-Ud-Daulah Tomb and Sikandra. In the Evening drive to Delhi. On arrival at Delhi check into the hotel and night stay at hotel. Tour operators arrange facility to transfer you at the International airport or Railway Station whatever may be for starting your return journey to home. Here ends Your fantastic tour.